If you love listening to music, you are not alone! Just as the Greek myths and legends tell us the remarkable effects of music, we begin to understand the history of music – even back in the day. How it was an integral part of life. In fact, the Greek philosophers Plato and Aristotle began to study the relationship between music and the common good. L.A. Spas revolutionized putting your health first through the ancient practice of warm water immersion. Is there a link between music and relaxation? Music acts as a distraction when it absorbs our attention, helping us to explore our emotions. Productivity increases when stress reduces, so the next time you’re frustrated, put on some happy tunes. Many find listening to music relaxing and beneficial while meditating or soaking in the hot tub. When combining the benefits of hot-tubbing and relaxing music, you increase your well-being and decrease your stress levels. Is there a link between music and socialization? Throughout history, music was a social activity. Before recordings were available, such as albums, cd’s, iPod, or radios – sharing records was not an option. Music was a social experience. Why is singing the social glue? When performing music, such as singing, playing an instrument, or dancing with others – increased endorphins are released in the brain; therefore, we experience a social closeness. For that reason, the next time you host a hot tub party crank up the music! Is there a link between music and fun? Yes, music releases dopamine, which regulates our mood and craving behavior, in return music’s ability to please us. Along with the effects of endorphins, music seems to make us feel good and connect with others. Music preference varies from one individual to the next, so only the listener can decide the desired choice and what’s suitable for the mood. If you’re looking for calming music, you may want to give Classical a try. In fact, you may begin to experience “The Mozart Effect.” A recent study by the University of California (Irvine) scientists found student scores increased when listening to Mozart improving memory skills and more clear thinking. With so many ways to enjoy audio entertainment, be sure to check out the Hot Spring Spa – music ready with built-in factory speakers. 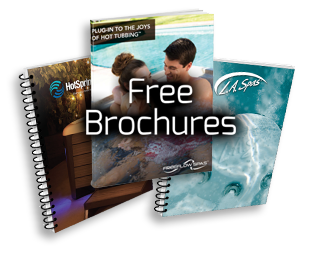 Or, ask about our Hot Springs’ wireless audio system with extended Bluetooth technology.